KATHMANDU, Jan 21: The government has so far spent Rs 30.93 billion to bring water from the Melamchi water to the Kathmandu Valley and plans to spend Rs 30 billion more on it by 2020. The additional amount includes the laying of pipeline for the distribution system. According to accumulated spent figures of the Melamchi Water Supply Project Office, a combined Rs 19.93 billion has been spent on the water treatment plant, tunnel works, access roads and headwork, and on a part of balk and distribution. The water from Melamchi is expected to flow into the Kathmandu Valley by October bringing to fruition a two-decade-long dream project. Overall progress of 88 percent is expected by December. Likewise, the amount spent in laying the pipeline -- both balk and distribution -- network in the Valley is to the tune of Rs 11 billion, according to the latest data. The government has spent Rs 6.21 billion while the remaining amount was put up by different development partners led by the Asian Development Bank (ADB). A total of Rs 18.4 billion of ADB loans have so far been spent on tunnel works and headwork, and the laying of the pipeline. Likewise, the project has spent Rs 2.62 billion received as different types of assistance provided by Japan International Cooperation Agency (JICA). The figure of spent amount also includes Rs 722 million as Norwegian assistance. Likewise, it also received Rs 813 million in loans from Nordic Development Fund and has spent the amount. Swedish International Development Agency’s grant worth Rs 74 million has also been spent. The government has spent a loan of Rs 986 million received from The Organization of the Petroleum Exporting Countries (OPEC). The project, which started back in 2001, has already spent Rs 12 billion on tunnel works, headwork, access road construction and the water treatment plant in Sundarijal. Likewise, its major spending in building the service reservoir and laying of the pipeline network is to the tune of Rs 11 billion. Likewise, it has spent Rs 4.35 billion on consultancy services. The project has so far spent Rs 925 million to acquire a 1,900 ropanis of lands in different parts. The project’s initial cost in 2001 was US$ 434 million while the total cost in terms of US dollars is $558 million. Melamchi Water Supply Project Executive Director Ghanashyam Bhattarai says it was not easy to assess the cost overruns because of fluctuation in foreign exchange rates. “But I can say that there is not much difference in the cost of tunnel works, headwork and treatment plants, except the cost of pipelines,” Bhattarai says. Initially, the cost for pipeline was estimated to be about Rs 13 billion which has soared to Rs 30 billion and this amount is yet to cover large areas of the Valley, particularly outside the ring road. The initial plan only had a major bulk distribution network in 2001 but the distribution pipeline design was revised in 2008 and has a connection to house. The cost of the pipeline has increased as new settlements have increased in the city overwhelmingly since 2001. “The cost of plastic used for making pipes, which is directly proportional to the price of petroleum, has increased by multifold today making laying the pipeline so much dearer,” added Bhattarai. A kilogram of the plastic cost Rs 45 in 2001, while it now costs Rs 218. 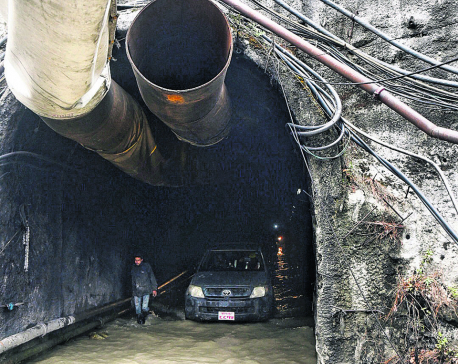 Another phase of the Melamchi project -- the adding of 340 million liters per day water through two tunnels from Larke river (1.5-km tunnel) and Yangri rivers (10-km tunnel) to the Melamchi river is also being planned. 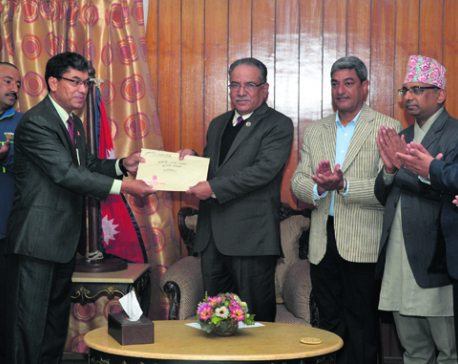 The Detailed Project Report (DPR) says that its cost -- including an additional treatment plant -- is about Rs 30 billion.